A beautiful Spring day out today. Highs in the mid 70s. I captured this image while I was getting ready for the event at the Spring Valley Historic site a couple weeks ago. This image is pretty much right out of the camera. Most of the flower was in shade except for the blooms that were being caught by afternoon sunlight. 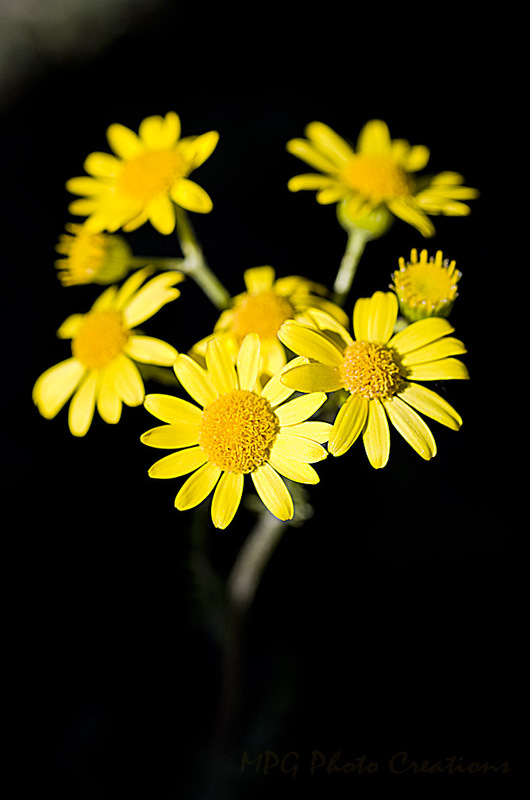 This is a Prairie Groundsel that is a fairly common Spring wildflower in Kansas.